Feelin' groovy? Do you miss mini-skirts and swinging hair? Do you think the Kardashians don't hold a candle to Twiggy and the Beatles? 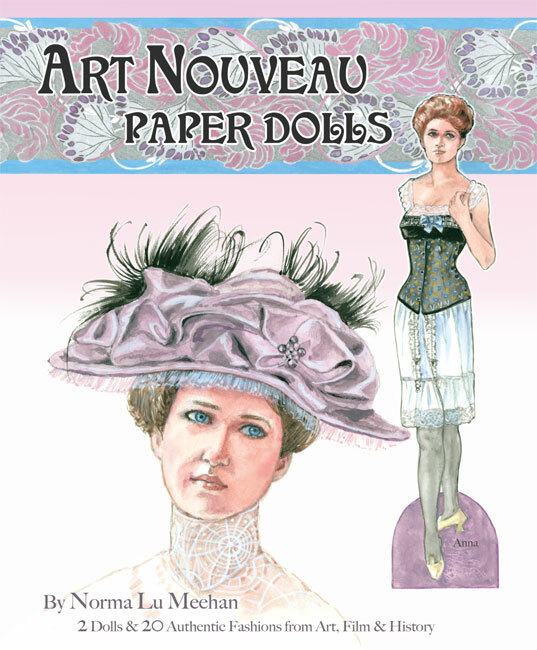 Then this new paper doll book by artist Charlotte Whatley is for you. 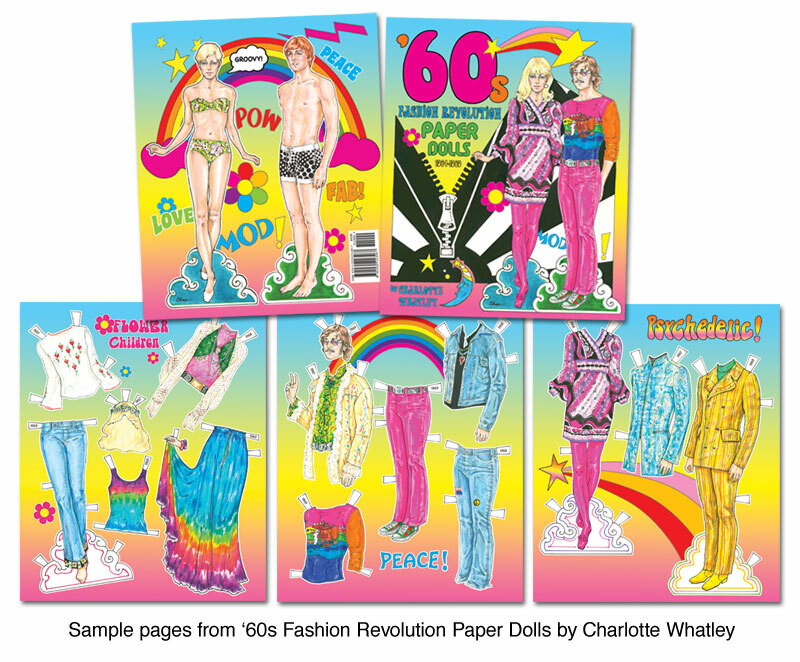 Two dolls and eight pages of trendy gear will turn back the calendar to 1964-1969 when the Youthquake was shaking the world and a fashion revolution was happening. 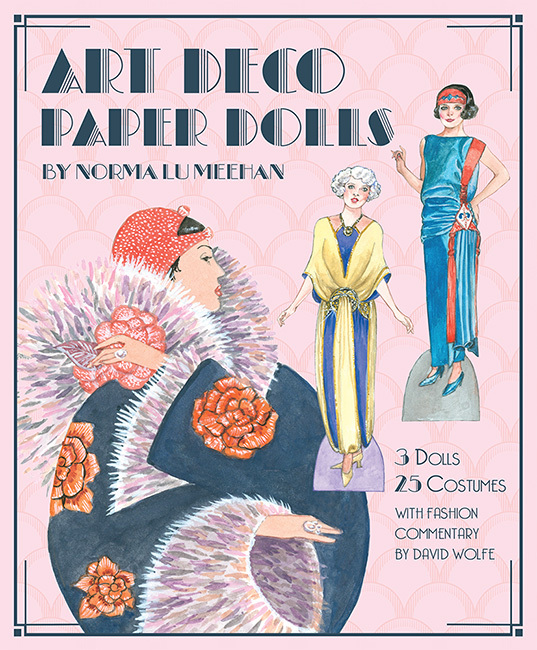 It was a time like no other, a time when fashion was new, really new. 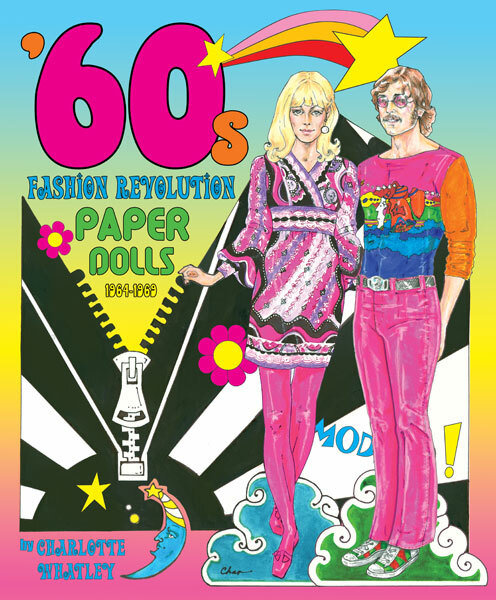 Daring designers like Mary Quant and Rudi Gernreich were cutting crazy clothes for dollie birds and guys grooved to the styles strollling on London's Carnaby Street. 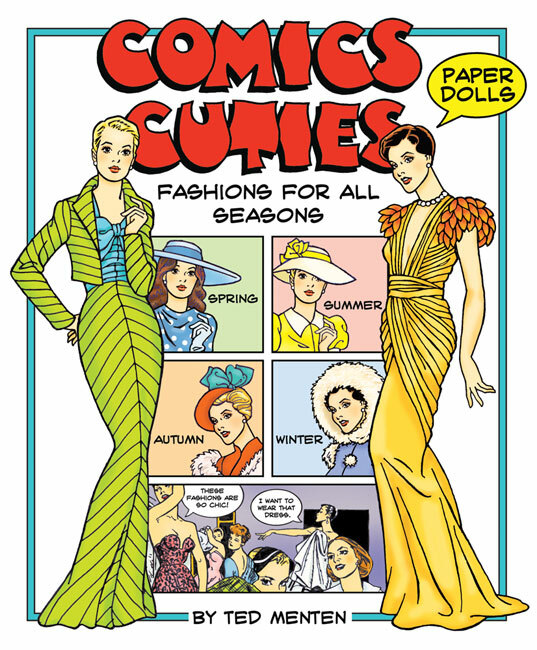 All the fab fun of fashion's most revolutionary years, the swinging '60s, is here again in this nostalgic, collectible paper doll book.